This Saturday is World Gin Day, returning for an eighth year of juniper-related ridiculousness. With the British summer almost certain to disappear with a rumble of thunder and a weekend of pouring rain, there may not be that much al-fresco drinking, but any excuse to drink gin is a good one. 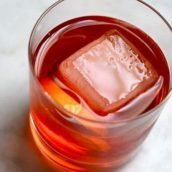 Over the past few years, I’ve used World Gin Day as an excuse to talk about new gins – with new releases popping up every week, we’ve been spoiled for choice. However, with it also being the end of Negroni Week, my favourite classic cocktail, this year I’ve decided to go for the other end of the spectrum – classic gins. Gin’s popularity is not a recent thing, but there are only a handful of brands that have stood the test of time. These are the drinks that people think of when you say, ‘gin’. They don’t all have ancient heritage, but they all have an important place in the modern history of gin. 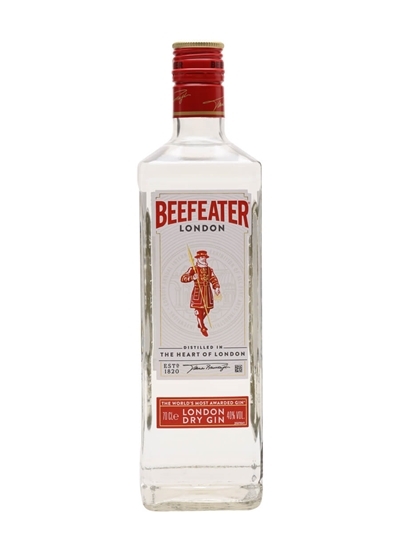 First up is Beefeater, for me the classic London Dry gin. It’s been around since the late 1800s and is still produced to the recipe that creator James Burrough set down in the 1890s. The recipe is now considered standard, but it has stood the test of time – juniper, angelica root, angelica seed, coriander seed, liquorice, almond, orris root, seville orange and lemon peel. 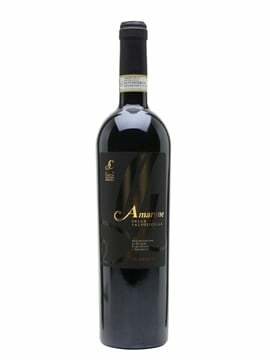 A robust and full-bodied gin, it’s not expensive and punches above its price point. 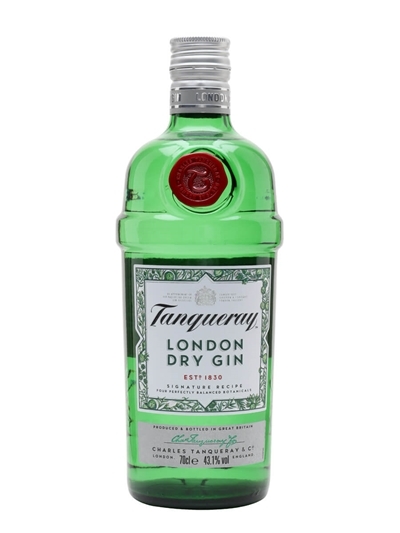 Next on my list is Tanqueray – the gin I always have in my cupboard. Originally created in the 1830s, it is another gin that has helped define the London Dry style. 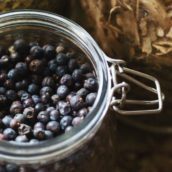 The recipe is secret, but the core four botanicals – juniper, coriander, angelica root and liquorice – are the basis for almost every gin made today. It doesn’t have quite the same reputation in the UK as it does elsewhere in the world, but it’s a versatile and solidly ginny gin that doesn’t mess around. 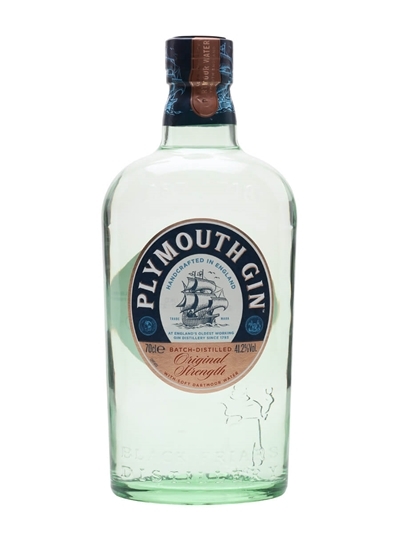 Another old-fashioned gin next – Plymouth. Even older than the last two, the Black Friars distillery where it is made has been in operation since 1793. 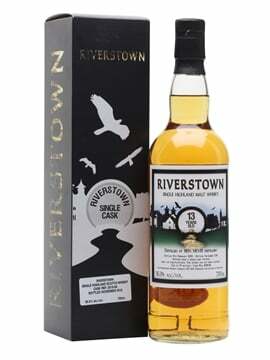 A sweeter and earthier style of gin than London Dry, it is specifically listed in cocktail books from the early 20th century, even though there has been only one distillery making gin in Plymouth for most, if not all of the past 100 years. My next choices are potentially controversial when discussing ‘classic’ gins. First up – Bombay Sapphire. While many gin aficionados consider Sapphire to be a vodka with a hint of juniper, it’s an important and popular gin. Not only is it the spirit that started the revitalisation of gin as a fashionable and worthwhile spirit, it has held its place as a popular gin for the past 30 years, despite the ups and downs of the drinks industry. As for its light character – a gin doesn’t need to punch you in the face with juniper to be tasty. 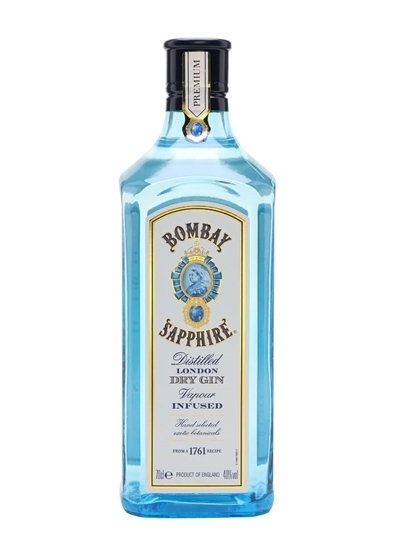 While I prefer something punchier, I know loads of less geeky people who love Bombay Sapphire. 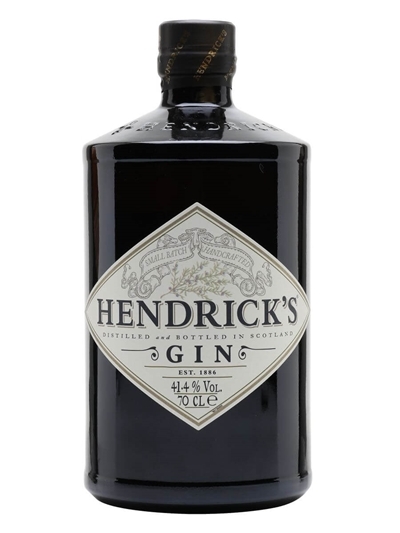 My penultimate pick is another modern gin – Hendrick’s. In a similar fashion to Bombay Sapphire, Hendrick’s kicked off the current gin craze. 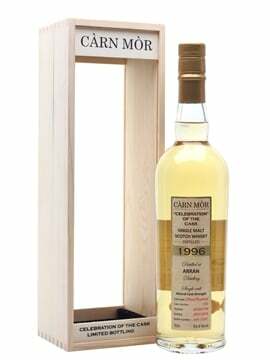 It appeared in 1999 and combines some finicky distillation – combining a vapour basket* with a more traditional method – with a pair of at-the-time unique botanicals – cucumber and rose petal. Add to that a new signature garnish for a G&T – cucumber rather than lemon or lime – and you have the template for modern gins. Fortunately, it’s also a great gin. 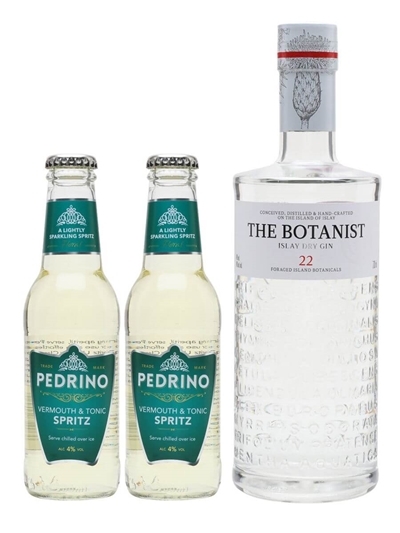 Finally, a gin that I have chosen for a few reasons – The Botanist. Reason number one is that it’s made by a Bruichladdich, better known for making whisky. 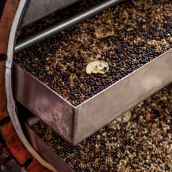 Secondly, it takes Bruichladdich’s approach to whisky making and extends it to gin, at the same time taking the ‘unique botanicals’ approach pioneered by Hendrick’s to an almost natural conclusion: a complex recipe of 31 botanicals, 22 native to the area around the distillery. 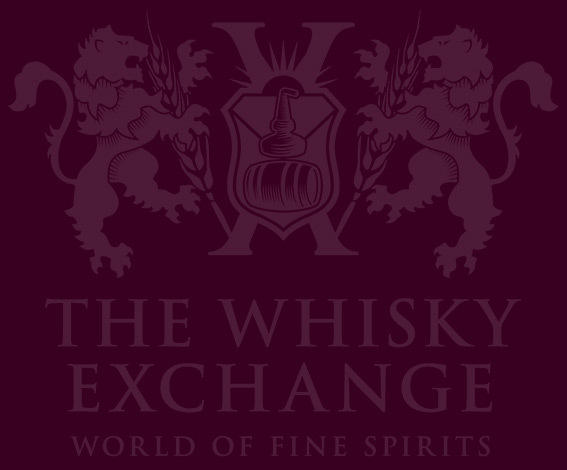 Thirdly, not only did it win The Whisky Exchange Spirit of the Year Award 2013-14, it’s also our current Spirit of the Month, with £2.50 off until the end of June. And fourthly, it’s really nice. On Saturday afternoon, I will be engaged in the traditional British summer pursuit of sitting outside with a gin and tonic. I hope you’ll join me; the umbrella is optional. * Traditional distilled gin is made by adding the botanicals into the body of the still with neutral spirit and then boiling the mixture. A vapour basket suspends the botanicals in the neck of the still, so that it’s hot vapour rather than boiling liquid that extracts flavour from them. This generally leads to a lighter, more fragrant and delicate gin. #WhiskyDad – tweet and win! 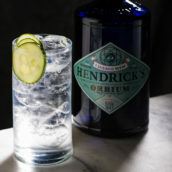 Hendrick’s Orbium – the end of gin and tonic?